PARIS, 23 February 2004In some other industry, Stephane Portet who books and manages his upstairs/ downstairs Sunside-Sunset jazz club duplex, might be described unhesitatingly as a young executive with a bright future. But although he shows every sign of being a survivor, he is in a trade which is often no further from closure than the next transportation strike. Parisian jazz clubs have had historical and sentimentaland temporaryrelevance since Dexter Gordon, Johnny Griffin, Bud Powell and the others played in those dank, smoky Left Bank caves not because it was romantic but because it was their only option. They deserved to be playing in Salle Pleyel; but, as Clint Eastwood told Gene Hackman (who had protested: "I don't deserve this") before shooting him in Unforgiven: "Deserve's got nothing to do with it." It's much better for the deserving in the jazz business now, so it is ironic that more musicians with the clout to play prestigious halls are choosing to go back to multiple performances in smaller, more intimate clubs instead. New York's Village Vanguard is famous for that. 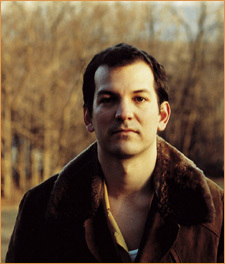 And, in Paris, Wynton Marsalis played two nights in the New Morning last summer, and the Brad Mehldau trio will be at the Sunside for a week, from March 2nd to 7th. Taken together, the Sunside and Sunset on Rue des Lombards, a walking street near Chatelet, are arguably the best club in town. (Just down the street, the admirable little Duc des Lombards is celebrating its 20th birthday.) The Sunset in the cave is for amplified blues, rock and world music. While the street-level Sunside has acoustic jazz, a great grand piano, interesting programming, a brick wall and, a rare and wonderful thing, efficient ventilation. Portet, 36, who took over the Sunset from his father, replaced their street-level restaurant with the Sunside six years ago. Programming and operating two quality jazz clubs at the same time takes an unusual combination of imagination, hard work and business acumen and people were skeptical at first. But he had a healthy work ethic developed when he was selling washing machines for Bosch. "I've been in the jazz club business for 13 years," he says. "I have found my passion. I'm good at this job. I do a lot of research, I ask a lot of questions. I'm the sort of person who goes deeply into things. I know a lot about the musicnot so much about thirty or forty years ago. My area of expertise is what's happening today." On the move, cell phone to ear, he is in his domain walking up and down the stairs something like 14 hours a day; scheduling, listening to music, negotiating with musicians and agents and coordinating the people who work with him (they are ten). His eyes dart here and there as he fine-tunes the lighting, the sound, the door, the bar. Trying to keep ahead of a changing business, he always liked the late-night aspect of jazz but more people want to be home by midnight these days so the performances will soon start earlier. 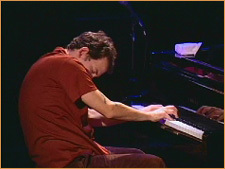 Mehldau's sets will be at 7:30 and 10 with seating, Portet says: à l'Americaine (the room will be emptied between sets). Mehldau's admirable new trio album "Anything Goes" (Warner Jazz) will be released at about the same time and Portet finds it increasingly essential to combine bookings with record releases. Independent labels are taking over the jazz record business, and he predicts that the major entertainment companies will eventually be totally out of it. Efficient independents can make money selling 10,000 units; for a fully integrated multinational corporation with a large overhead such a number is unthinkable. All of this may be good for the music because, he says: "Businessmen who are smart and quick may survive better than ever." Thinking of all the frustrated, deserving young French musicians, Portet says it's "unfortunate" that his customers still prefer to listen to Americans (established French names like the ex-Miles Davis pianist René Urtreger do well). The weak dollar makes American musicians cheaper, but there are also less tourists and it cancels out. The Italians draw well too. "Black or white seems to matter less than it once did," he says. "Jazz is becoming multicolored. The music is becoming more international all the time. Jazz is healthier in Europe, where the public is more sophisticated. There are many musicians making statements that have nothing to do with Benny Goodman. These sort of peoplepeople like John Surman and Michel Portalare marginalized in the US. In Europe they are in the mainstream. "European musicians seem to be more open to future possibilities. The Americans tend to look back on their own history. I think that the marriage with electronic music machines and with world music is the jazz of the future. People keep saying that jazz is dead. I think the contrary. I think that jazz is the music of the 21st century." Portet is currently shopping for a place in central Paris where he can open a bigger and even better jazz club. "There's a lot of demand right now," he says. Copyright © 1996 - 2004 Culturekiosque Publications Ltd.